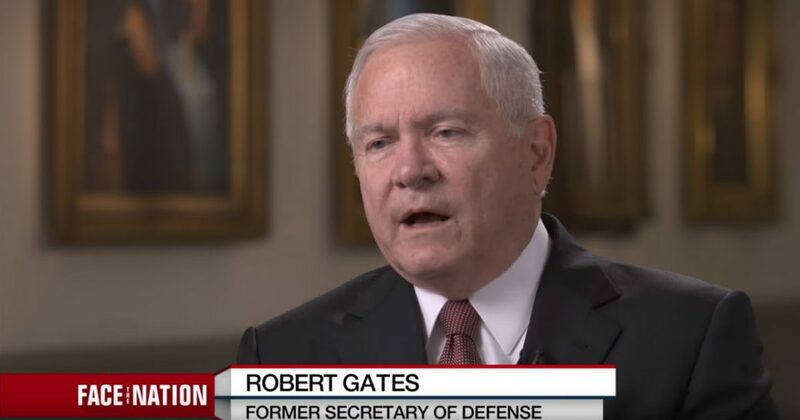 Former Secretary of Defense Bob Gates served under both Presidents George W. Bush and Barack Obama and had an interesting observation during his Sunday appearance on CBS’ Face the Nation. While speaking with host John Dickerson, Gates argued that he’s actually “in agreement” with Trump’s overall approach to the presidency thus far. Gates argued that planned disruption can be a good thing both in dealing with domestic agency reform and in approaching foreign policy. Broadly philosophically. I am in agreement with his disruptive approach. So, in government, I’m a strong believer in the need for reform of government agencies and departments. They – they have gotten fat and sloppy and they’re not user friendly. They are inefficient. They cost too much. I also think, on the foreign policy side, that there is a need for disruption. You know, we’ve had three administrations follow a pretty consistent policy toward North Korea and it really hasn’t gotten us anywhere. So the notion of disrupting and sort of putting the Chinese on notice that it’s no longer business as usual for the United States I think is a good thing. Now, the question is, obviously in – in the implantation of disruption. On the foreign policy side, there’s the risk of being to spontaneous and to disruptive, where you end up doing more harm than damage. And figuring out that – that balance is where having strong people around you matters.